Stock car racing comes to.... Antarctica?! 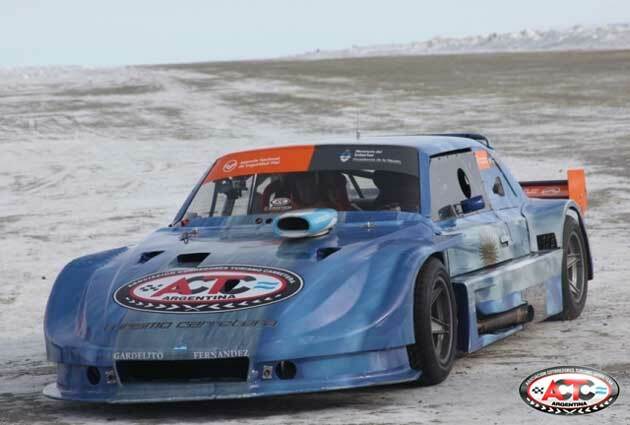 Argentina has apparently brought stock car racing to Antarctica for the very first time. The Asociacion Corredores Turismo Carretera recently teamed up with the Argentina Air Force and the interior ministry to bring one racer to the frozen continent. Hugo Mazzacane, vice president of the racing organization, piloted the car down 3,937 feet of runway in temperatures of four degrees below zero, Fahrenheit. We aren't exactly sure of the motivations behind the stunt, but our Google Translator informs us that the trip had something to do with bringing renewed passports to those already stationed on Antarctica. Then again, if you have to ask why, you probably shouldn't be anywhere near motorsports in the first place. There's no indication as to what kind of preparations were taken to ensure that the car could perform in the cold or what kind of driving suit Mazzacane had to don in order to keep from freezing himself out of the cockpit. Still, looks like a fun time to us.